Abby Endicott, the chief of the District Attorney's homicide unit in Boston, returns in the heart-racing follow-up to Mission Hill. Things are looking good for Abby: she's top pick to be the next District Attorney, and her musician boyfriend Ty has moved in, despite her upper crust family's objections. But a serial killer is on the loose, and with two college-aged girls dead and another missing, time is running out. When the sons of a prominent government official are linked to the murders, Abby pushes back, stopping at nothing to find justice for the girls. This time, the killer could be right under her nose, and she may be the next victim. 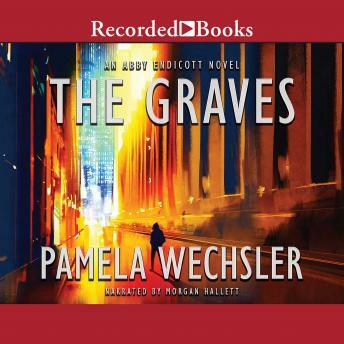 In The Graves, former prosecutor turned television writer Pamela Wechsler delivers a tense and enthralling Boston-set thriller about the intersection of power, privilege, and justice.